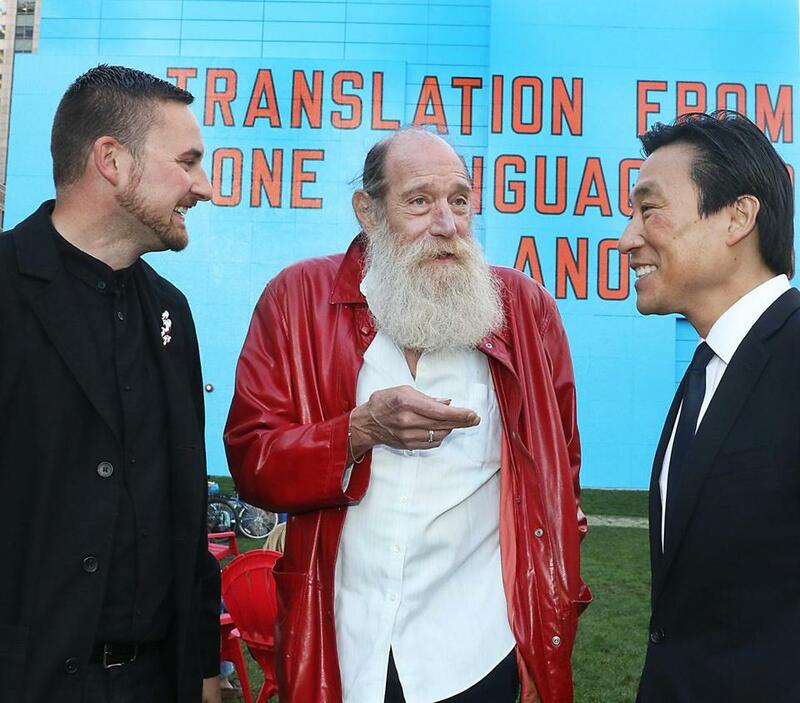 From left: Lucas Cowan, Lawrence Weiner, and Paul Ha at the Rose Kennedy Greenway. 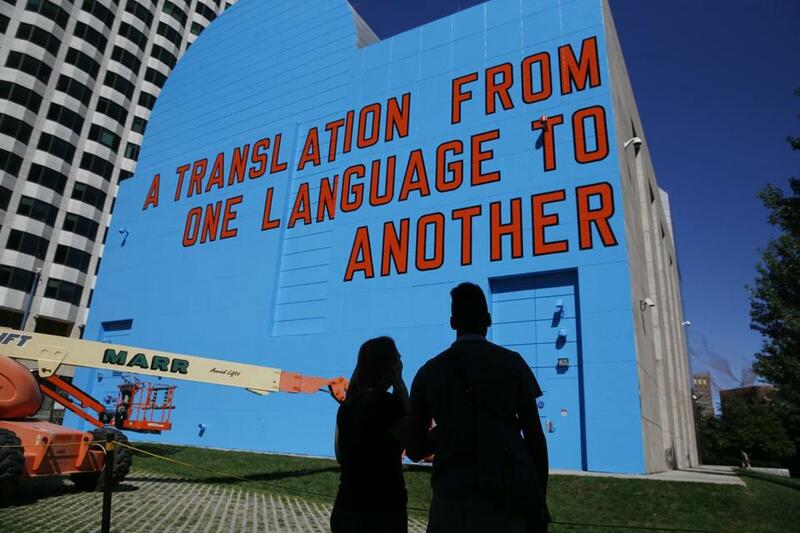 Artist Lawrence Weiner, whose mural now adorns the Greenway Wall in Dewey Square Park, was among those gathered to celebrate the new piece of public art. The 73-year-old artist, whose textural mural reads “A TRANSLATION FROM ONE LANGUAGE TO ANOTHER,” was joined by Paul Ha, director of the List Visual Arts Center at MIT; Lucas Cowan, the Greenway Conservancy public art curator; Greenway Conservancy executive director Jesse Brackenbury; artist Ross Miller, whose Harbor Fog sculpture is located in the Wharf District Parks on the Greenway; Nancy Berliner, curator of Chinese art at the Museum of Fine Arts; and Jessie Washburne-Harris, director at Marian Goodman Gallery in New York. Kate Mytty (left) and Darren Cole, both of Cambridge, recently paused to get a closer look at the mural.